When mid-January comes around the UK Motorsport scene goes into showtime mode and the biggest of them all - Autosport International - got underway on Thursday 10 January at Birmingham's NEC. 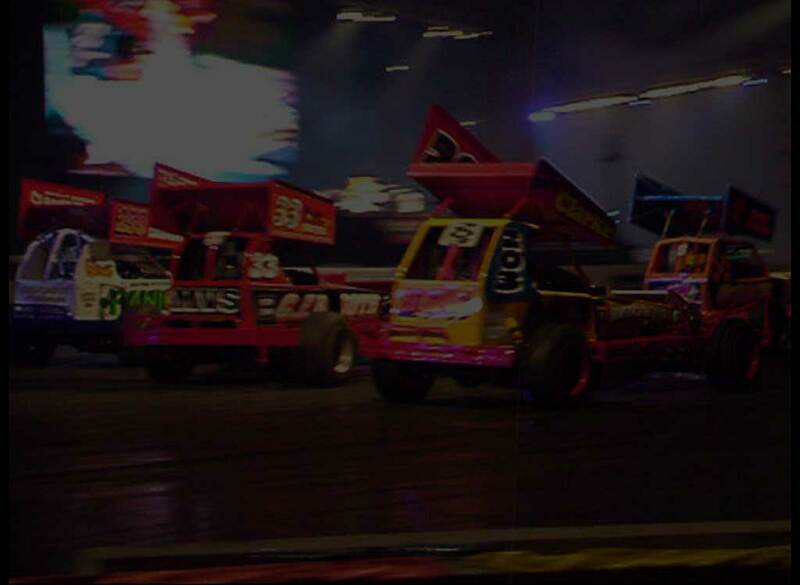 Compared to earlier years its very heartening to report that there's much more for the oval racefan on the press and trade days with a number of stands covering BriSCA F2 Stock Cars, Oval Legends and Grasstrackers amongst some of the key traders alongside the now traditional BriSCA F1 presence in the Live Action Arena. The selection of pictures is quite small to make sure there is plenty left to discover for anyone visiting the show before it closes on Sunday 14 January, including video action which will be posted later. * An oval presence at last on the Thursday and Friday! There seemed to be a lot of interest so hopefully this is something on which to build for the future. * Colin Casserley's yearbook promoting F1 Stock Cars. An excellent look and feel and obviously the result of a lot of lot of time and commitment by those involved. * The Tesco 99 Octane chap with the beer barrel on his back. He's well worth searching out 'cos the beer is free! * Terry Grant's new trick with a Legend. This was impressive. * A much slicker and faster running Live Action Show compared to earlier years with the emphasis much more on racing and action which is what most people seem to prefer. * A stunning closing performance by the Drifters to close the Live Action show. Before finishing please note the picture of the Warwickshire and Northamptonshire Air Ambulance stand. We all know how valuable their services are and they need lots of support so why not go along and give a little help!? All in all an excellent day out and remeber that on Saturday/ Sunday there'll be a much bigger oval presence!